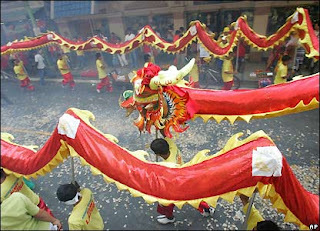 January 23, 2012 marks the start of the Chinese New Year of the Dragon, and Filipino-Chinese communities here in the Philippines and overseas are celebrating with all the Chinese in the world their most important and longest of all traditional Chinese festivals. 2012 is the very first time that the Chinese New Year is declared a special non-working holiday throughout the Philippines. Known as the "Spring Festival" which is the literal translation of the Chinese name "Chūnjié" as it falls between the December solstice and the March equinox, it usually begins on the first day of the first month "Zhēngyuè" in the traditional Chinese calendar and lasts 15 days which culminates with the Lantern Festival. The spring season in Chinese calendar starts with "Lichun", the first solar term in a Chinese calendar year. It also marks the end of the winter season. Since the Chinese calendar is lunisolar, Chinese New Year is often referred to as "Lunar New Year". According to one belief, Buddha promised gifts to all animals that would pay him homage. 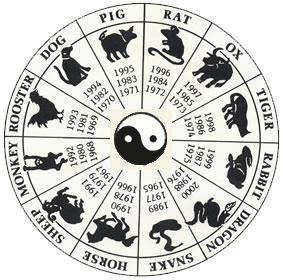 Only 12 animals came to honor Buddha and to favor these 12 animals, each one was given one of the 12 years of the Chinese zodiac. People born during one of the animal's years are said to inherit distinctive characteristics of that animal. The signs repeat every 12 years. 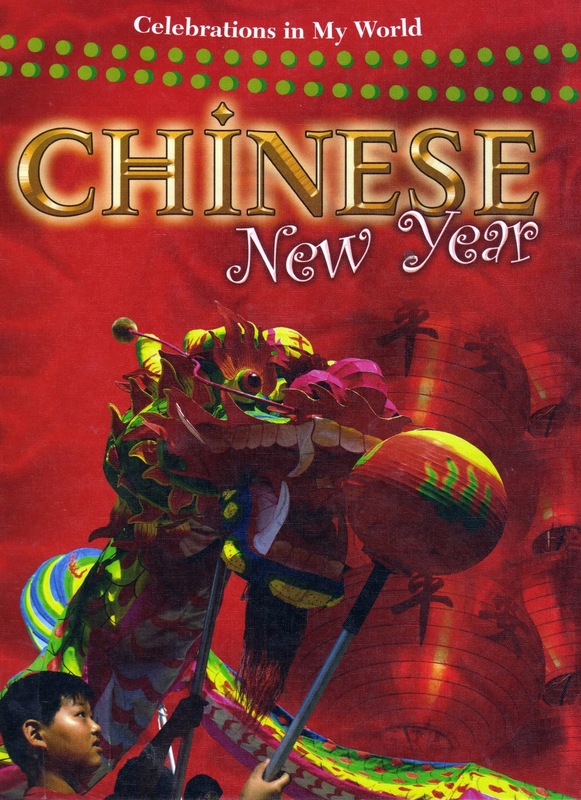 Chinese New Year is celebrated in countries and territories with significant Chinese populations such as Mainland China, Hong Kong, Indonesia, Macau, Malaysia, Singapore, Taiwan, Thailand, and also in the Philippines. Chinese communities existed in the Philippines long before the Spanish conquest of the 16th century. 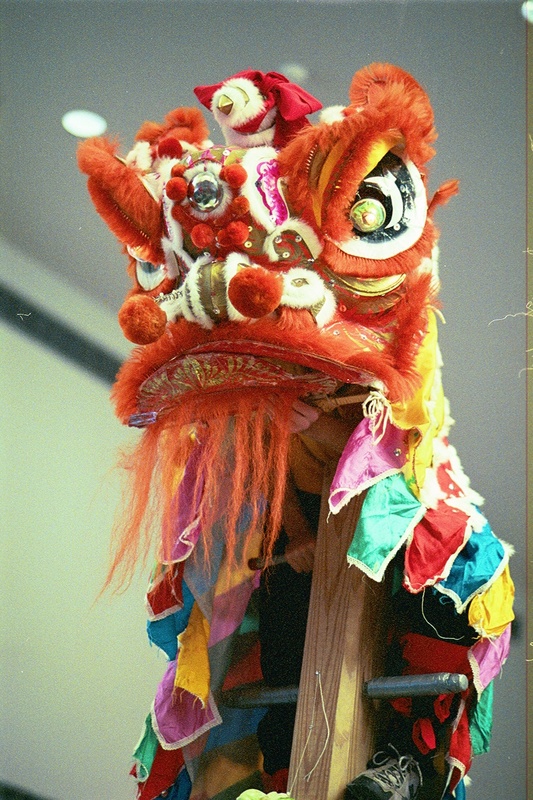 Overtime, the Chinese communities grew due to intermarriage among Filipino natives, and as the population increased in numbers, so did the grandeur of the Chinese New Year celebration. In the Philippines, there are several Filipino-Chinese customs and traditions that are widely observed today that make Chinese New Year a very meaningful and an exciting occasion. It is celebrated every year for prosperity, closer family ties, and peace. During this 15-day celebration, Filipino-Chinese families usually gather to feast for their annual reunion dinner known as "Chúxī" or "Eve of the Passing Year." In Chinese, "Chu" literally means "remove" or "change", and Xi means "night". Thus, Chúxī implies that the New Year will replace the old year and comes the very night. This is considered the biggest event of the Chinese New Year's Eve and is usually celebrated in the home of the most senior member of the family where food is served very large and sumptuous and traditionally includes dishes such as pigs, ducks, chicken, and sweet delicacies. It also features a communal hot pot as it is believed to signify the coming together of the family members for the meal. 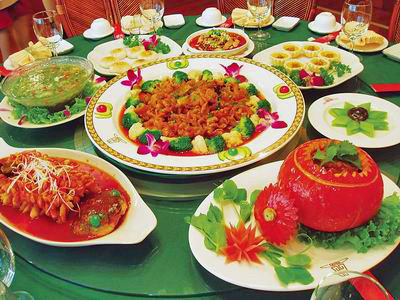 Foods are consumed to usher in wealth, happiness, and good fortune except for a special dish consisting of fish which is also prepared but is not eaten and is for display only for the New Year's Eve dinner as the Chinese phrase "may there be surpluses every year!" The family usually ends the night with firecrackers. Early the next morning is a time to honor one's elders and families. Children visit the oldest family members and their extended families, usually their parents, grandparents, and great-grandparents and wish them a healthy and happy new year. 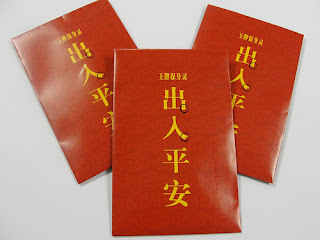 In turn, children receive "lucky money" in paper envelopes called "Ang Pao", "Hong Bao", or, "Lai See" which often come in red - a color that symbolizes happiness, good luck, success, and good fortune. Red is used on these envelopes to ward off evil spirits. Traditionally, the amount of money contained in the Ang Pao are given in even numbers. The number 8 is considered lucky for it signifies "wealth". The number six is also considered very lucky as it represents a smooth year. Odd and even numbers are determined by the first digit, rather than the last. However, it is common and quite acceptable to give cash gifts in Ang Pao using a single bank note – with ten or fifty Peso bills may be used. Chocolate coins may also be found in the Ang Pao. On the days immediately before the New Year celebration, Chinese homes and businesses are thoroughly cleaned to sweep away any ill-fortune, and doors are thrown wide open to welcome good luck on the first day of the New Year. Brooms and dust pans are put away on the first day so that the newly arrived good luck cannot be swept away. 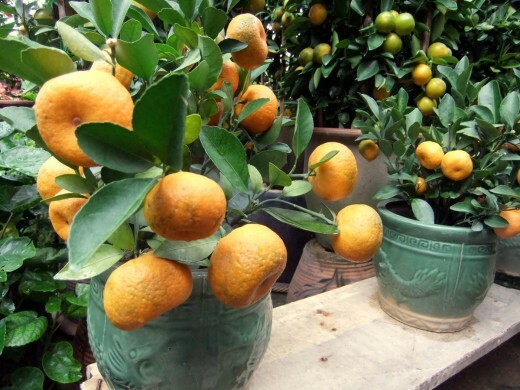 Round fruits such as tangerines and oranges are also displayed as a sign of luck and wealth. Windows and doors are adorned with hand-painted writings that are written by brush on a diamond-shaped piece of red colour paper-cuts and couplets also for good luck with popular themes of "good fortune" or "happiness", "wealth", and "longevity". Businesses are expected to pay off all the debts outstanding for the year before the New Year's Eve, extending to debts of gratitude. Business owners also give bonuses through Ang Pao to its employees for good luck and wealth. Thus, it is a common tradition to send gifts and rice to close business associates, and extended family members to reconcile, forget all grudges, and sincerely wish peace and happiness for everyone. Buying of new clothes, shoes, and even a hair-cut also symbolize a fresh start. Red is the predominant colour used in New Year celebrations. It is the emblem of joy, and symbolizes virtue, truth, and sincerity. On Chinese opera, a painted red face usually denotes a sacred or loyal personage and sometimes a great emperor. Candies, cakes, decorations, and many things associated with the New Year and its ceremonies are coloured red. The sound of the Chinese word for "red" is "Hong" in Mandarin which also means "prosperous". Clothing in bright red colours is commonly worn throughout the Chinese New Year because it was once believed that red could scare away evil spirits and bad fortune. In addition, people typically wear new clothes to symbolize a new beginning in the new year. According to popular legends, the beginning of Chinese New Year in China started with the fight against a mythical beast called the "Nián" who would come on the first day of New Year to savagely eat the townfolks' livestock, crops, and even villagers themselves, especially children. To protect themselves from the beast, the villagers would put large quantities of food at their doors at the beginning of every year. It was believed that after the Nián consumed the food they had prepared, the beast would no longer attack the villagers. One time, people saw that the Nián was scared away by a little child wearing red. The villagers then understood that the Nian was afraid of the colour red. Hence, every time when the New Year was about to come, the villagers would hang bright red lanterns and red spring scrolls on their windows and doors. People also used firecrackers to frighten away the Nián. From then on, the Nián never came back and the whole village was in peace again. The Nián was eventually captured by an ancient Taoist monk named Hongjun Laozu. Chinese New Year is also an occasion for families to visit friends and a time to worship at local temples hours before the new year begins in order to pray for a prosperous new year by lighting the first incense of the year. Incense is also burned at the graves of ancestors as part of the offering and prayer ritual. In Buddhist or Taoist homes, altars and statues are cleaned thoroughly. Altars that were adorned with decorations from the previous year are taken down and burned a week before the new year starts, to be replaced with new decorations. However, it is also a common practice nowadays that many households hold parties and even start a countdown to welcome the new coming year. Markets or village fairs are also set up as the New Year is approaching. 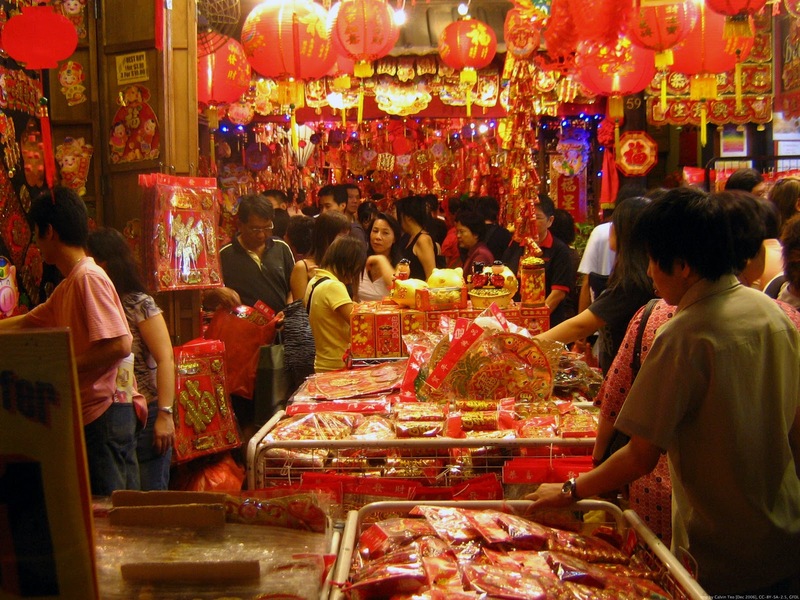 These are usually open-air markets that feature new year related goods such as flowers, toys, clothing, lucky charms, and even fireworks. People buy gifts for their new year visits as well as for their home decoration. People also participate in the much-awaited parades and dragon and lion dances that are organized in Chinatowns in different Filipino-Chinese communities in the Philippines. This traditional showcase of acrobatic dances attract media coverage reaching millions of viewers in the country. 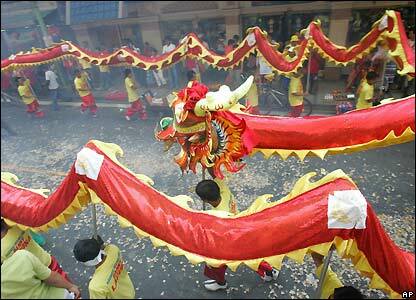 The mythological Chinese dragon is the main symbol of Chinese New Year. Dragon and lion dances are performed during Chinese New Year with many people supporting the long dragons, which are typically made of silk, paper, and bamboo. It is believed that the loud beating of the gongs and the deafening clashing of the cymbals together with the loud noises of firecrackers with the dragon or lion dancing aggressively can drive away bad or evil spirits. 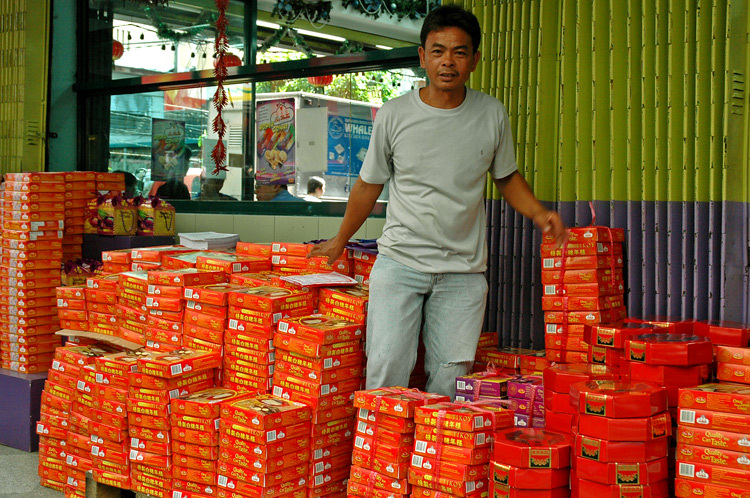 The traditional fireworks and firecrackers are very popular in the festivity. Bamboo stems filled with gunpowder that were ignited to create small explosions were once used in ancient China to drive away evil spirits. 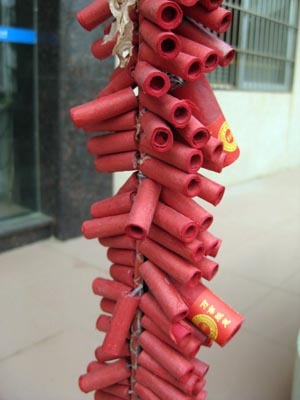 Today, however, this ancient method has eventually evolved into the use of firecrackers during the festive season. Firecrackers are usually strung together by the hundreds on a long fused string rolled up in red papers with gunpowder in its core. Once lit, the firecracker lets out a loud popping noise. The deafening explosions are believed to scare away evil spirit, and the burning of firecrackers signifies a joyful time of the year that has become an integral part of the celebration. 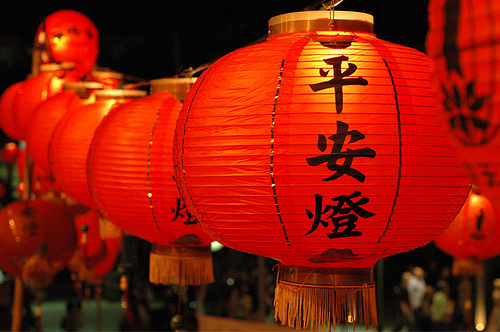 The celebration of the Chinese New Year culminates on the fifteenth day of the new year with the Lantern Festival, or "Yuanxiao Festival", which literally means "The Fifteen Night" in Fujian dialect. Several bright and colorful Chinese paper lanterns which comes in many different sizes and shapes adorn the temples and the parade. Of course, the Chinese New year in the Philippines will not be complete without the giving of the traditional "Tikoy". It is very popular in the Philippines and it is made up of glutinous rice flour, wheat starch, salt, water, and sugar. Tikoy symbolizes good luck. Tikoy is everyone's all-time favorite. K u n g H e i F a t C h o i ! Grabe talaga ang Dabaw oo. I'm sure the malls will be filled to the brim with people, not to mention the 3 day sales that they sometimes do. All good things should be appreciated and you are managing your blog very well. I am contacting you with the purpose of Blog Collaboration. I think we can be of great help to each other. I am willing to add your link at Blogroll of “My Dubai Stay” and not at the Link US page which means that the link to your website will appear on every page of our blog that currently enjoys PR-2. Also your Feed URL will also be added. I can also add a brief description about your site to send more targeted traffic once the information is given. If you are interested I can send you more details. Hope to receive a response from you soon. Please note that MyDubaiStay’s Blog is an SEO friendly blog which is regularly updated and well maintained, hence we are very selective of adding links to our Blogroll.